Rising above the constant churn of killmails Factional Warfare escalates into the proverbial D-day a couple of times a year, resulting in the most spectacular mass destruction seen in lowsec. If FW has a narrative, these events are it. In last week’s Lowlife I mentioned how some areas of FW are heating up, summer slump be damned. This, along with other characteristics of lowsec, were the basis for the estimated projection of kill statistics for the latter part of 2014 – suggesting a healthy lowsec with PvP improving each year. To those that doubt, I have one word: Huola. Recently, this Minmatar fortress system has burst into the limelight, and with unbridled carnage secured a spot in the history of Factional Warfare in EVE Online. After ten days of fighting 3000 pilots had fought and died in the system, the butchers bill exceeding 9000 ships and 1000 pods. The chance of a fielded ship surviving was 23%, all told. The estimated value destroyed was over 250 billion ISK. The conflict saw all four militias participating along with a considerable number of neutrals, including the likes of PL. Although those not enlisted in FW, but drawn to the conflict, naturally had a better chance of survival, over half the ships that came looking for a fight never made it back to dock. The numbers are the result of a long and bloody path, dramatic with events that set the stage for the siege Huola, the ever defiant Minmatar fortress system. Political infighting and civil war saw the end of Minmatar dominance of the war zone in early 2014. Famously resulting in the defection of WINMATAR. alliance from the Tribal Liberation Force to the 24th Imperial Crusade. The event represents a turning point in the war and saw the Amarr rise from underdog, to eventually ramming the gates of fortress Huola. Preceding the siege however was the Crusader campaign on Lulm, a Minmatar home system far from Huola. WINMATAR. knew well that Tribal forces staging out of Huola would be hard pressed to support the defense of a system given the distance, and together with Vitoc Health Services and Shirak SkunkWorks launched an all-out assault. In a feat of impressive logistics, ships and fittings were staged in Bosboger, right next door to Lulm – providing Crusader forces with quick reshipping and facilitating the onslaught. Logistics win wars, as the saying goes, and the Amarr had thus removed the only advantage the Minmatar had. On April 2nd, just one day after the renowned fall of Innia in the Gallente – Caldari war zone, Lulm was claimed by the 24th Imperial Crusade, a feat never before achieved. The choice to assault Lulm instead of Huola is strategically interesting because it was unexpected. At the time the Minmatar had been so badly beaten that they only controlled two systems, it would have been logical to take Huola – it sits right next to Amarr highsec and has a 24th Imperial Crusade Logistics Support station. Attacking Lulm meant that Tribal Liberation forces, staged in Huola and expecting an attack, could not mobilize relief fast enough to repel the sustained assault. Ultimately Minmatar locals were forced to evacuate for the first time since Factional Warfare began. Realizing they could not save Lulm, the Minmatar set about offensive-plexing key Amarr systems in the hope the Crusaders would be distracted and slow their assault. The Amarr did not take the bait, however, a number of other systems fell into Minmatar hands. Two months after the sacking of Lulm, another strategic choice of importance was made. Rather than secure the war zone at large, as was the custom, Crusaders opted to assault the heart of the enemy; Huola. 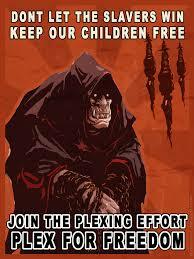 The system is Amarrian in origin, and in Crusader eyes judgement day had finally come. Discretely, troops and hardware were moved into position for what was to come, logistics again being the backbone of the Amarr campaign. On July 6th, the day before the attack would commence, WINMATAR. called to a meeting and proclaimed that “Burn Huola” was imminent. Amarr POS-es were set up inside Huola with fitted ships being staged there en masse, allowing instant re-shipping. There was to be no rest and no mercy, with the pride of the Amarr militia at stake and the apex of a long and bloody war within sight, the time had come to settle the score. Describing in detail what happened on July 7th and the ten days that followed is akin to describing individual blades of grass in a vast field… on fire by napalm, with artillery falling like rain, and filled with rabid maniacs chopping each other to bits. Suffice to say that FC’s were at times forced ban the posting of killmails to fleet chat because they would blot out any other text communications. Those that were there for the first few days describe a constant battle, dynamic and changing from one engagement to the next, but with an incessant trail of wrecks in its wake. The lines between fights and time zones blurred into a colossal scene of utter carnage. The fears of Amarr intelligence just prior to the assault were confirmed as renowned Gallente FC’s and veteran pilots were seen supplementing Minmatar forces in considerable number. The Tribal-Federate coalition made the Amarrians pay for every inch in blood, wrecks, and loss of sleep. Although casualties were heavy on both sides, Crusaders found they were losing more than they were winning. By July 14th the Amarrian advance had been sternly repelled, time after time. Forced to adapt, Crusader forces opted to use guerilla tactics and doctrines, focusing on time zones where they had the upper hand. In order to tip the scale, calls for assistance had been sent from the 24th Imperial Crusade to their ally, the Caldari State Protectorate. The response was somewhat unlikely – but much appreciated – in origin. Leaving Nulli Secunda, a number of corporations had recently dislodged and banded together, forming Bohica Empire – the newest addition of note to the Caldari militia. Seeing the perfect opportunity to get into the thick of it, Bohica deployed to Huola, making their presence known with an Ishtar fleet. Bolstered, the Amarr-Caldari coalition set about the assault with renewed vigor, initially crushing a Minmatar-Gallente cruiser fleet. The push was short lived however, and by July 17th Tribal forces has yet again established dominance and plexed the system down to secure. At the time of writing Amarrian forces have retreated and conduct operations in surrounding systems as they plot their next move. The siege of Huola, seemingly won by the defending Minmatar and their allies, leaves the system enjoying an uneasy peace. There are a number of lessons to be learned from this conflict. 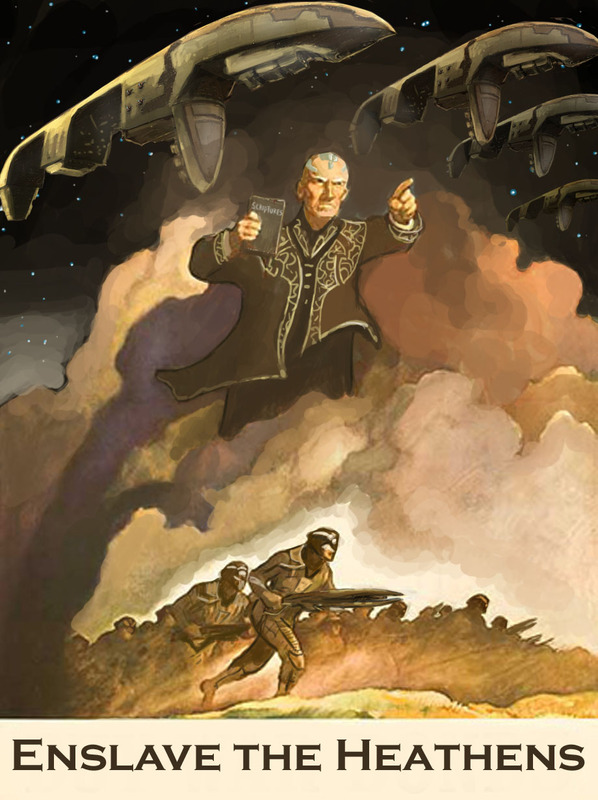 Although the Amarr presented sharp tactical thinking and leveraged the logistics backbone needed to see it through, they did not account for the state of the Gallente-Caldari war zone and ties between the Minmatar and Gallente. Having long been on the offensive, Federation forces control the majority of their war zone. The only real front still active being the north-east (along with guerilla fighting and roaming fleets). Intel of the imminent attack on Huola saw eager Gallente pilots lining up to assist their allies, estimating that whatever damage the Caldari did back home could be easily reversed once the Amarr had been repelled. Although many Gallente made their way over conventionally, supplemented by jump freighter logistics, the conflict also saw the use of the now more common wormholes. Gallente fleets normally operating on their home turf could, with some scanning and a stroke of luck, find wormholes that would take them close to Huola. This allowed ad-hoc strikes without the investment in logistics normally associated with operating far from home. In retrospect it would have perhaps been wise for the Amarr to coordinate their attack with the Caldari in both war zones, keeping the Gallente worried enough to stay put. However, with the State Protectorate militia only recently showing any real progress, that may have not been possible. Perhaps they played their hand too soon, and are paying the price in both ISK and morale. Lowsec waits in eager anticipation on how this conflict will evolve. 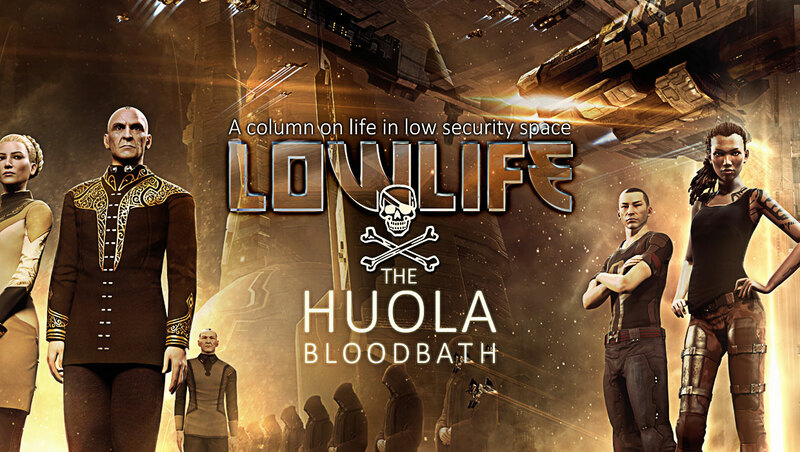 The events of Huola are stark argument against the proposed idea of decoupling the war zones, although it received strong support when presented by CCP Fozzie at FanFest 2014. As plans are laid anew in both war zones, August should be very interesting indeed. Acknowledgement: I would like to thank Veskrashen of Justified Chaos, who’s stats work I shamelessly stole. Then again, he did sell me derptrons with missing modules for 2 mil a pop, so I guess we’re even ;). X Gallentius also deserves mention for providing the intel connections needed to write this piece, thanks bud.